The 78 meter long bulk freighter Vinacomin 03 collided with its sistership 78 meter long freighter Vinacomin 02 in the Gulf of Tonkin off Vietnam. 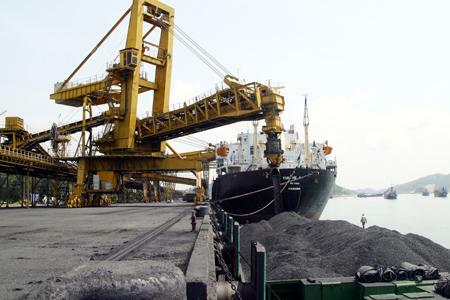 The Vinacomin 03 was leaving from Quang Ninh Hon La with 2,900 tons of coal while the Vinacomin 02 was headed to Quang Ninh Hon La. The Vinacomin 02 struck into the Vinacomin 03 hull. Its cargo holds quickly flooded and the vessel sank in 50 meters of water. The Vinacomin 02 recovered 13 of the 14 crew from the Vinacomin 03. The missing crewman was later rescued. The Vinacomin 02 suffered some damage to its bow, but was able to proceed under its own power. Reports state the Vinacomin 03 may not be salvaged due to the high cost. Authorities have launched an investigation into the incident.